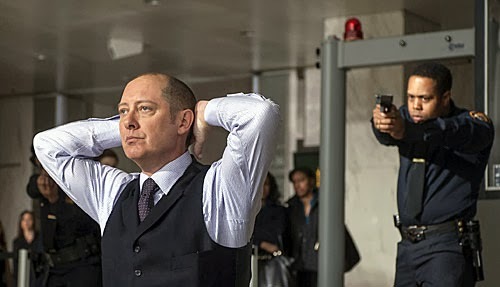 This one has been coming in as a popular request, so I guess it’s time to get down to it and talk about The Blacklist. Yes, I have seen it, and yes, unsurprisingly I have opinions. Like you really considered otherwise. But first, know that this entire article will be full of SPOILERS. Just so you know. Okay, we’ll get to my overall impressions of the show and all that good stuff in a bit, but first I have to ask a question, because I honestly haven’t read all that many articles on the show yet, and I am quite possibly out of the loop but we’re all clear that he’s her father, right? I mean, they couldn’t have gotten less subtle about that if they’d written it on a baseball bat and hit her husband with it. This isn’t just me, right? Because it seems really, really obvious. Anyway, on to our analysis. 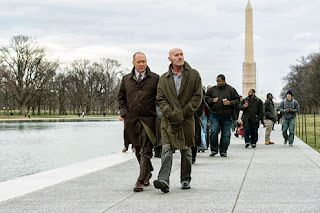 The Blacklist is a hybrid show, a combination of serialized drama and cop procedural. It follows Elizabeth Keen (Megan Boone), a newly minted FBI profiler whose first case is kind of a doozy. She’s called in to speak with Raymond “Red” Reddington (James Spader), a virtual evil genius who has surrendered to the FBI with the intention of helping them track down every evil jerk on the planet. But, and it’s a very important but, only if he speaks only to Lizzie. And off we go. Liz, who is utterly creeped out by Red’s obsession with her, nonetheless does her job well and goes into meetings with the man. Red reveals that a political malcontent with issues with America’s foreign policy (like everyone, let’s be serious) intends to kidnap a certain general’s daughter and make her into a bomb. Liz tracks down the girl, she gets taken, it’s all very tragic, they crack the case, girl is saved, high fives all around. Okay, I can admit that I wasn’t super involved on the case level. The story was engrossing and all, but it didn’t have any immediate danger attached. It’s an NBC show, so there was really no question that Liz was going to survive the pilot, nor was there really any doubt that the little girl would as well. NBC isn’t going to kill a child in their first episode. Especially not a child strapped to a dirty bomb. Which is kind of the problem with this whole show. Oh, it’s watchable, don’t get me wrong. It’s excellently written, suspenseful, tense, and well acted. 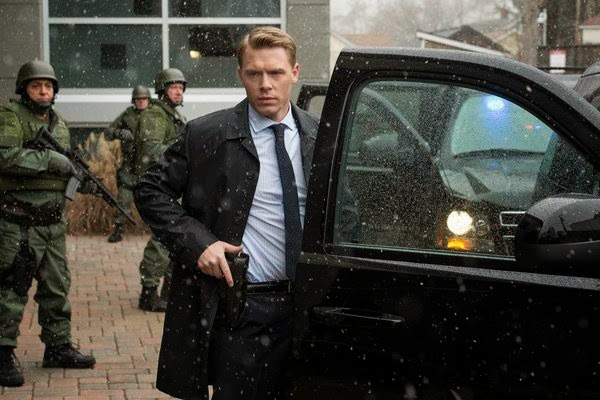 The characters are just deep enough to be interesting, but not so much that it’s distracting, there are some familiar faces (Harry Lennix and Diego Klattenhoff), and Spader is clearly having way too much fun. I like it. But that doesn’t mean it’s perfect. Actually, it usually means exactly the opposite. Perfect shows are boring. And also non-existent. Except for Breaking Bad. Maybe. The problem with The Blacklist is that it’s toothless. This is a show that would make me wet myself with terror if it were on a cable channel. Why? Because then the stakes would actually be real. On AMC or FX or HBO or Showtime they would kill the girl. They would kill the kid and maybe a dog or two and we would completely understand that not only is this going to be a high stakes game, it’s one where we can’t even see the board. For all of his evil posturing, Red is clearly a good guy. Yeah, I said it. He virtually admits it in the pilot episode, that he spent twenty years with lowlifes and now he wants to bring them down. Bad guys typically only want to bring down other bad guys because they want more power, not out of moral objections. Clearly Red is working some sort of longer game here, and clearly he’s the good guy. Ultimately. But it’s all so easy. I mean, not for the characters. They have to go through hell. 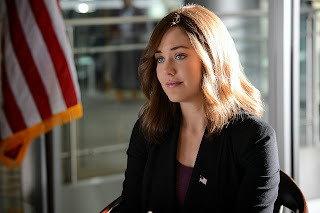 In the first episode alone Liz discovers that she’s been requested personally by a supervillain, her husband gets beaten nearly to death, she almost goes up in an explosion or four, and she finds out said husband is a spy. Clearly she is having a crappy day. Unfortunately, while Liz’s day is bad for her, it’s all just a little too simple for us, the viewers. You see, there’s no mystery here. 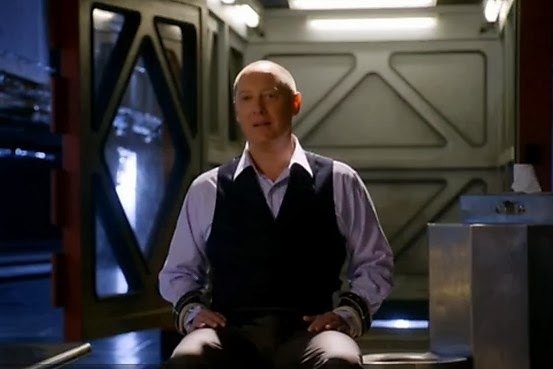 We know that Liz is going to devote her life to catching these bad criminals, in the process growing closer to Red (who is totally her dad). When her husband is officially outed as a spy that will only serve to further sever her connection to the outside world. But since Red is really a good guy, at some point they’ll have to go on the run, continuing to do justice while hunted by a suspicious FBI, etc, etc, etc. Probably what bothers me most out of all of this, though, is the toothless thing. Here we have a character who is built up to be the scary of scaries, and he’s really just kind of flamboyant. Like, I know that dignified class and upscale dinner parties are supposed to be scary because of our dear Dr. Lecter, but Spader doesn’t seem scary. He looks like he’s just having a nice lunch. It’s hard to remember that this show shares a network with the actual Hannibal, which never balks at the genuinely terrifying, and has actually made me severely nauseous several times. That is a show with stakes. This? This is child’s play. No one is seriously hurt. Well, no one we like. The good guys all live. The bad guys die. Nothing bad happens. Hurray. It’s just really…bland. Now, none of this is to say that the show can’t wildly improve all of a sudden. It can and I hope it does. It’s got a lot of potential. But right now that’s all it is. Potential. Until the show learns how to really take grownup bites and sink its teeth in, we’re going to keep having this problem. The problem of predictability.